It was Shane Rimmer’s voice that first brought him to the UK from his native Canada as part of the close-harmony trio The Three Deuces. It also earned him a place in cult television history when he provided the voice of Scott Tracy, the unflappable eldest son of the dynastic masterminds behind International Rescue in Gerry and Sylvia Anderson’s 1960s children’s classic Thunderbirds. Rimmer’s relationship with the Andersons proved long-lasting: he went on to provide voices and write scripts for the marionette follow-ups Captain Scarlet and the Mysterons and Joe 90 as well as appearing in live-action series UFO and Space: 1999. Born to Anglo-Irish parents in Toronto, Rimmer began his career as a singer and radio DJ and went on to host his own television show for Canadian broadcaster CBC. He made his UK debut in 1959 with The Three Deuces on an ITV Cleo Laine special, returning to settle in London in 1963. Amassing more than 160 screen credits, Rimmer was a familiar face on television and film for more than five decades, his Canadian accent approximate enough for him to play countless Americans in an era of novel transatlantic collaborations on TV and growing American film production in the UK. After making an early impact in the magazine-publishing serial Compact (1963-64), he was memorable in A Very British Coup (1988), two stints in Coronation Street (1970 and 1988) and Dennis Potter’s Lipstick on Your Collar (1993). On film, Rimmer appeared in several big-budget franchises, including appearances in three James Bond films, the first Superman trilogy and Star Wars (1977). Among other notable film credits were Doctor Strangelove, Or How I Learned to Stop Worrying and Love the Bomb (1964), Gandhi (1982), Out of Africa (1985) and Batman Begins (2005). Rimmer joined the National Theatre to play Saul Kimmer in the UK premiere of Sam Shepard’s True West (1981) and Lieutenant Brannigan in Richard Eyre’s acclaimed revival of Guys and Dolls (1982). He returned in 1996 as Charley to Alun Armstrong’s Willy Loman in Arthur Miller’s Death of a Salesman. In 1990 he was seen in Richard Blackford and Maya Angelou’s King at the Piccadilly Theatre and made his only appearance at the Chichester Festival Theatre in Joseph Kesselring’s Arsenic and Old Lace in 1993. Rimmer’s later stage work included a concert performance of George Gershwin’s Of Thee I Sing with Opera North in 1998 and Richard Norton-Taylor’s “tribunal play” Called to Account – a faux trial of then prime minister Tony Blair for his role in the Iraq War – at London’s Tricycle Theatre in 2007. More recently, Rimmer was heard in The Mighty Carlins on BBC Radio 4 in 2013. He published an autobiography, From Thunderbirds to Pterodactyls, in 2010. 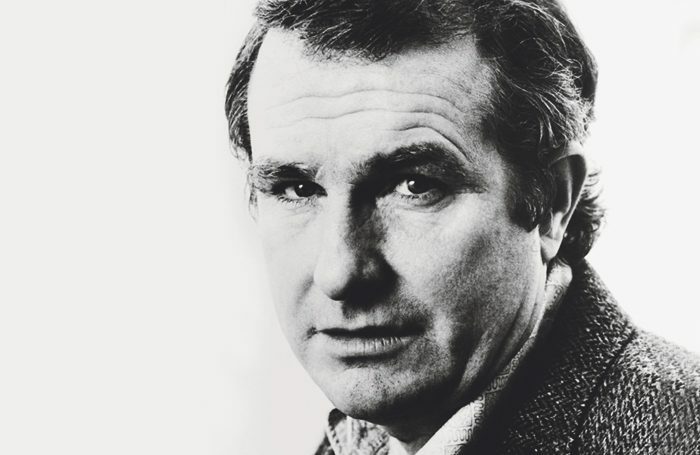 Shane Leslie Rimmer was born on May 28, 1929 and died on March 29, aged 89. He is survived by his wife Sheila and three children.